The ground shook and a rumble sounded through the air as the train squealed to a stop. Maybe, just maybe, I could carry someone’s bags without the porter taking notice. And then there was the even bigger maybe: Maybe I could get enough money to at least buy a crust of bread for Trevor and Tabitha to share. I hid behind the boxes in the freight yard and kept one eye on the porter, and the other on the second class passenger car. The porter had his attention on the first class car, so I slipped into the gathering crowd. Titus Hine has always taken care of others. First in protecting his brother and sister from the men his mother entertained. Even more so after her death, when the townspeople refused to help the orphans of a town prostitute. He’s been protector and provider, despite the hardships. He’s learned that no one will help, no one cares and if he wants to survive he’ll have to rely on his own strength not just for himself but his family as well. Then a stranger shows him the kindness and help no one else seems willing to. 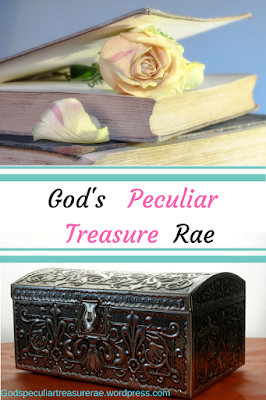 Between her kindness and the lecture she gives the Christian Leaders, Titus’s life takes an unexpected turn for the better. With help and provision from the local believers things should be easier, his burdens are lifted. So why does it feel like life is spinning out of control? Can Titus learn that while man may fail him there is One who will never fail? Can he learn to allow God to be the Shepherd of his life and lead him? Or will life continue to push him every which way? Trevor was born to Clarice Hine on July 9, 1872. He had an older half-brother who became the only father-figure he knew for a while. He was a quiet child from birth, always thinking things through and trying to help out whenever he could. When his sister was born, he helped Titus take care of her while their mother entertained her “guests.” His primary job was to keep her quiet. Faith’s goal in her writing is to encourage Christians in their walk with Christ. 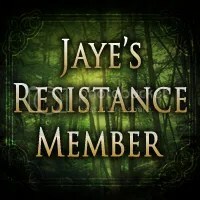 If you want to know when her latest book comes out, go to her website to sign up for her New Releases Newsletter so you can get an email when her next book in the series comes out. You will also find links to her other Social Media sites on her website. She loves to hear from her readers, so feel free to contact her. Do you want to read the story that inspired Savior, Like a Shepherd? Faith has made it available for free February 23-27. You can get your copy here: http://amazon.com/gp/product/B01IIU5XPK. Writing Dreams– Guest Post – Why Orphans? 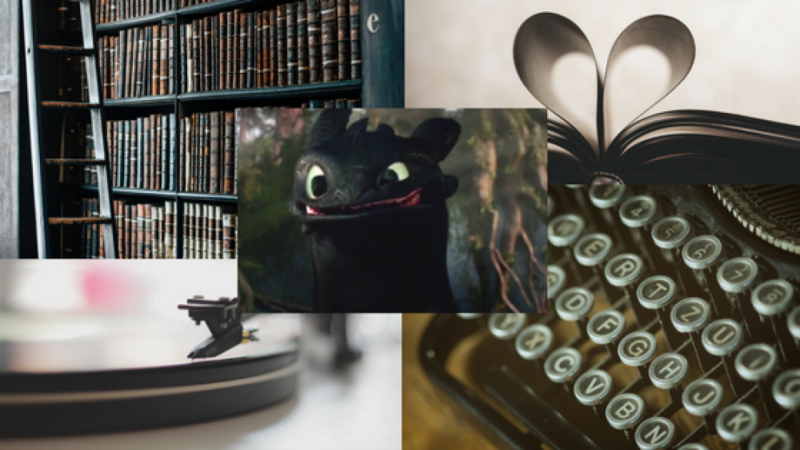 Rachel Rossano’s Words– Guest Post – What’s the Inspiration and song connection? This idea of a Jane Austen retelling collection is brilliant, and so when the chance to read/review “Emmeline” (Sarah Holman’s retelling) came up, I jumped! Back when Miss Holman opened up the writing contest for this collection I had planned on entering myself, and had even started writing, but it wasn’t to be – I wasn’t able to finish it. Ah well. At least I can enjoy reading those who did enter! I have not read the original of “Emma”, but that didn’t hinder my enjoyment of this retelling. I understand that it is very close to the original, so I don’t feel like I was missing anything to understand. 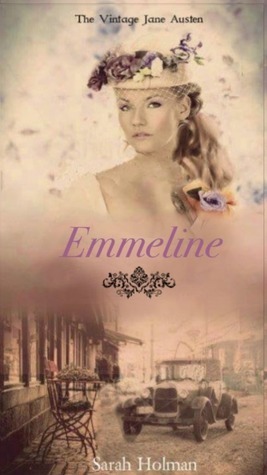 “Emmeline” is remarkably well-written. I think this might be the best yet of Miss Holman’s writing; it flowed so smoothly and read just effortlessly. I admit I had a bit of a hard time with Emmeline sometimes, because of her character, but I really loved her turn-around at the end, and despite her flaws she was still a like-able character. And Frederick Knight was fantastic! I really enjoyed his character, and how he handled Emmeline was great. I loved his “scoldings”, too, as they were done out of love. The Christian message was very well done and tied together beautifully at the end. The whole story was a very good one, and I was really impressed with it. There was a bit at the end that maybe seemed a little rushed, but didn’t hamper the enjoying of it at all. *I received a complimentary ecopy for review. This is a rather impromptu post…I realized the other day that I had forgotten to prepare a “January Wrap-Up” post. Ooops! There’s been a sickness bug floating around though, so I blame that (no, I didn’t come down with it, but other family members did). But anyway, I was going to work on said wrap-up post when WordPress informs me that I’ve been blogging here for SIX years! Happy six anniversary to me. XD Once again, I was not prepared for this….one would think I would know that this day was coming, and would have some planned out celebratory post to share, with fun graphics, links, and confetti. But, erm, nope. Dat’s not my style, apparently. What made me start blogging in the first place, you might ask? Well, technically me first bloggeroo was started on that good ol’ site once known as Homeschool Blogger (which is no longer in existence). That (and Webkinz…let’s be honest here) was actually my first introduction to the wonders (and peril?!) of the Internet. I do have fond memories of HSB – I met my first penpal there; I was 11 years old. ^.^ (She and I are still friends, which is cool). And then came along…..JibeNow. A social-media site for, you guessed it, homeschoolers. A friend on HSB had recruited me to this new, incredible site. I loved it – it was super fun, great, and…enjoyable. This was about 6-7 years ago now. I met peoples on JN (some whom I got to meet in person, no less), made some memories, and then….it shut down! After only a few months of me being on it. *cries* ‘Twas sad, I tell you. Maybe for the best, since I spent way too much time on there, but that is neither here nor there right now. Back to the whole blogging thing – so when I joined JibeNow, I switched my blog over to that site. And when that closed, WordPress became my new domain. Ta-da. Soooo….that’s about all I’ve got for a special 6-year Blog Anniversary Post. I guess I could sum up January while I’m here, huh? and then I read some of a book, but skimmed some and didn’t finish it because of inappropriate content. Anyway, I know this isn’t much of a wrap up post, or a celebration one, but I must be off. Toodle-pip!! Here’s to another who-knows-how-many-years of blogging!